At CP we are happy to welcome young people to our events, however there are some important rules and protocols that must be observed. Anybody under 16 years of age must have the written permission of their parent, carer or guardian to attend any event. A copy of this permission must be kept upon their person at all times. A generic permission form is available to download on the CP website, from the CP office and at events. A young person arriving at a CP event must present their written permission to the event staff on arrival; they will then be instructed to take it to GOD for processing. Copies of this form will be available at the front gate of each event but please note that no one under 16 will be allowed entry to any CP Event without their parents/carers/guardians permission. The young person can then use the proof of permission to attend subsequent events without the need of a separate permission form for each event, provided that the responsible adult (see below) remains the same. Anybody under 16 years of age must be in the care of a designated responsible adult* during an event. This person must be named in the parents/carers/guardians written permission. Anybody under 16 years of age will not be allowed into an event unless they are accompanied by the named responsible adult. This person must not leave the site without the young person that they have taken responsibility for. The named responsible adult will be held responsible for the young person in their care for the duration of the event in any and all circumstances. 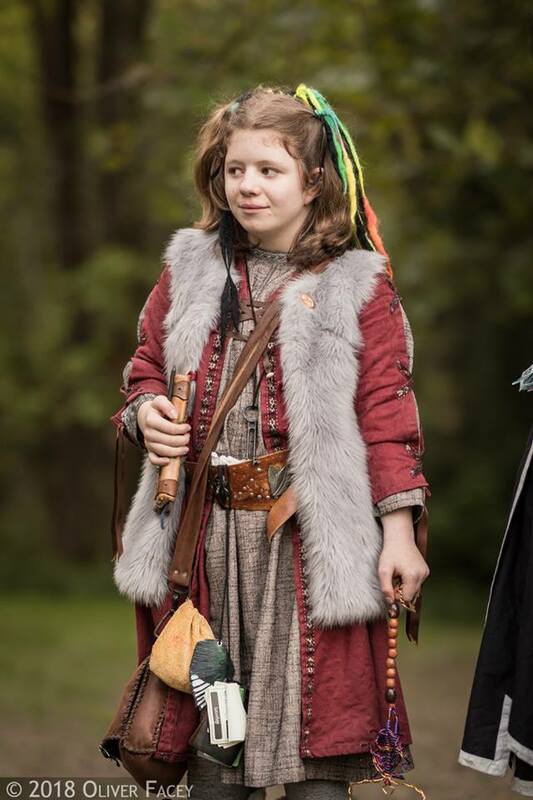 No person under 16 years of age will be allowed onto any battlefield or skirmish at any Curious Pastimes Event. Young people under 16 are not able to participate in monster slots that involve fighting, however there are often more roleplay focused roles suitable for young people and they should approach their faction command or the game team to volunteer. Young people are encouraged to develop their characters in the same way as any other player, however CP respectfully requests that all players are able to carry out the tasks required to use their skills, e.g. a spellcaster should be able to say their verbals and an alchemist should be able to roleplay their brewing. * A designated responsible adult must be 18 years or older. CP recognises that these rules may appear strict, but our primary concern is the safety of our customers. We do ask you to remember that no matter how well organised a LRP battle may be accidents can happen. Therefore please take special care around young people at all times, especially during combat situations.